This week, you learned more of what’s to come in Halo 5: Guardians, and saw new sneak peeks at Halo: The Fall of Reach. You’ve listened as Maya’s situation rapidly escalated from bad to worse in the latest episode of Hunt the Truth. 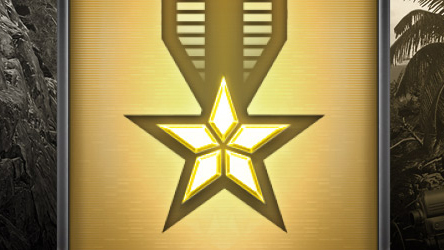 You’ve joined us in the celebration that Halo 5 has gone gold, which means that everything is just beginning. Not just for you, but for us as well. This week, we’ll take a closer look at Halo: The Fall of Reach – The Animated Series, more new Forge tricks, the upcoming MCC update, and more. Let’s get into the details. If you aren’t yet familiar with Elysium City Primary Education Facility No. 119, or the origins of subject Number-117, you’re in luck, and you’ve come to the right place. As we announced at E3, Halo: The Fall of Reach – The Animated Series (which tells the origin story of the Master Chief and the SPARTAN-II program) is on the way and will be included with the Digital Deluxe, Limited Edition, and Limited Collector’s Edition of Halo 5: Guardians. The animated epic releases on launch day, and since we’re getting awfully close to that date, I grabbed some time from Executive Producer Kiki Wolfkill to get the latest. Bravo: Hey, Kiki! The last time we had a chance to talk with you about The Fall of Reach was July, and lots has happened now that we’re less than three weeks away from launch. First things first – where are we at? Are all aspects of post-production wrapped up? Kiki Wolfkill: At this particular point, the edit is final, the sound mix has been final for a little longer, and on an animated project, the concept of color balance and IQ – that is - image quality finalization is a little different so as far as the picture’s concerned, tiny tweaks and fixes and improvements. But that doesn’t mean it’s all done – the team has to work on materials to support the launch, like trailers, images for the menus and so on. So I’m hesitant to say it’s 100% finished, but it’s pretty close. The latest trailer just dropped yesterday – can you tell us about a few of things we get a sneak peek at? Honestly you’re seeing the main themes and tone of the film. Folks who’ve read the book or the comic book adaptation will be familiar with the main elements of the plot, but the fact is many Halo players haven’t, so we tried to make sure we saved some surprises for them. You do get a glimpse at Sequence’s distinctive animation style, a combination of highly stylized imagery and sophisticated 3D CG is unique, and it’s evolved specifically for this project. The 3D CG actually uses a combination of hand built and heavily modified assets from the game, but you’re also seeing a lot of the custom work – like seeing Chief’s Mjolnir armor design – a design that’s modeled to be authentic to the original game, but without the fidelity constraints the original Xbox had to endure. In fact, you’ll see that armor evolve in the series’ chronology. What have been some of the key steps in the collaboration process with Sequence? How do you ensure we get everything right? Sequence has been an incredible collaborator, and the process has basically been us joined at the hip for much of this year. The first step of course was a script. Heath Corson did a remarkable job capturing the essential elements and characters for this radical new way to look at a beloved story. After that it became very much an evolutionary process of storyboarding, iterative improvements, and of course, performance. We captured our actors first and Sequence animated to those performances. Hardly unique but we feel it’s the best way to get the essence of the performances into the animation. The sheer amount of data shuttled between Sequence’s Vancouver studio and 343 here in Kirkland has been astounding. Reviews, edits, suggestions for changes and improvements, cuts – and even the odd “Eureka” moment – those have come constantly from both sides as we work together to get it across the finish line. As with any book, we’ve all got our own versions of how each scene from the story looks. When watching early review cuts this summer, I loved seeing how some of the early scenes from the book are depicted. Were there any specific parts of the story that you were really excited to tell? We’ve added a moment or two in the service of the story, but you’re right, there are tons of scenes I wanted to see – the fight in the gym, the assault on Watts’ compound, but the stuff when they’re kids. It has an emotional undercurrent that can really be elevated with simple things like eyes and music. I think newcomers to the story will sometimes be shocked by some of the prevalent themes. I’ve also heard murmurs about some really good music. Can you tell us anything about the score? Tom Salta scored this for us, and we’ve worked with him before on Spartan Strike and Spartan Assault – and fantastic as those pieces were, I think he’s really outdone himself and created something really special here. Some of it is quite moving. But he also knows how to capture action perfectly. Before we go, let’s talk about launch day. 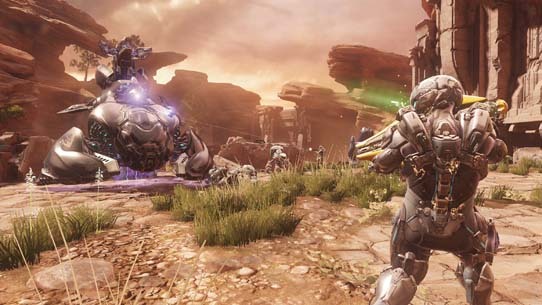 Would you recommend that fans fire up the Halo Channel and watch before pressing “start new campaign” in the Halo 5 main menu? I mean, that’s the only way to do it, right? Absolutely. Fans should feel free to engage in any order, but I think if they watch this first, they’ll have a profoundly different appreciation for the nature of Blue Team’s relationship in the game. Thanks for chatting with us, Kiki! Halo: The Fall of Reach – The Animated Series will be available on the Halo Channel on October 27. We’ll see you then. This week, Josh Holmes and Lead Designer Tom French gave you a sneak peek at Halo 5’s brand new Forge mode, which has been truly ripped apart and built from scratch to allow you to build faster and easier. Watching the Forge feature set come together has been quite special – the team pored over years and years of community feedback to re-think Forge – the tools, the controls, the objects, lighting, colors, surfaces, terrain, selecting, grouping, and so much more. The true test of these efforts, though, was when we brought in some of the world’s finest Forgers, a select few from our Community Cartographer group. These five gentlemen (The Fated Fire, Psychoduck, Nokyard, Ducain23, and Warholic) were the first people outside of 343 walls to get hands-on with the new Forge and give us their uncensored feedback. Getting used to the new controls took a day or so, but you can hear some of their thoughts (and see early look at some of their creations, as well as new Forge tools) right here. It was a blast having these guys join us for a full week - building late into the night day after day, and providing real-time feedback, which resulted in our dev team making code changes and kicking off new nightly builds that incorporated the updates. Their feedback on all aspects of the new Forge will ultimately help us deliver an even better Forge in December, and we’re also looking forward to your feedback that’ll shape the future of Forge updates and improvements post-launch. I personally wanted to see some more of what’s on the way in the new Forge, so this week, I grabbed some time from the legendary Tom French and producer Mike Byron, who showed us a closer look at some of the new features. Take a look below, and click on each of the images to view the full-size GIF. With over 100 colors, up to three color locations on most objects, and level reference colors, you have complete control over how you want your map to look. With fire, smoke, sparks, and more, you can add personality and storytelling to any map. Grouping objects allows you to work with collections of objects faster and easier than ever. Build it, group it, dupe it, and then you have two or more! Revised magnets give a live preview of what they will snap with when the object is released, creating a fluid experience with them. Magnet selection can even be influenced by targeting them. Cartographer tested, cartographer approved. So magical we don’t even know how it works (it just does)! Seamlessly blend terrain, rolling hills, and sweet jumps into the canvas or use them to build your own floating level above the ground. Over the summer, we heard feedback that some of you who were thinking about grabbing the Halo 5: Guardians Limited Collector’s Edition prefer a physical disc instead of a digital copy, and we let you know that we’d provide an option for fans to exchange their digital copy for a physical copy at no additional cost. This week, with help from our friends over at Xbox, we announced the details of this program, which can be found here. The offer is good from October 20 through November 1, requires that you don’t redeem your digital code right away, and that you follow the instructions in the above link. To set expectations, arrival times of discs will vary, and while teams at Xbox will be making every attempt to deliver by October 27, it is not guaranteed. If not being able to play at midnight is a bummer, it’s worth the reminder that the code that is included with the LCE will allow you to pre-download the week prior to launch to ensure that you’re ready to rock on launch day. The next blog in our series of REQ content arrived just this morning, where Josh discusses REQ economy and tuning. You’ll get an overview of your starting REQ bundle, how to earn REQ packs, average REQ Points (RP) earning rates, REQ Pack cost, and of course, a new sneak peek at nine new REQ Cards, including the Breach stance, Ruptive Assault Rifle skin, a Legendary rifle, and more. Get all of the details by heading here. 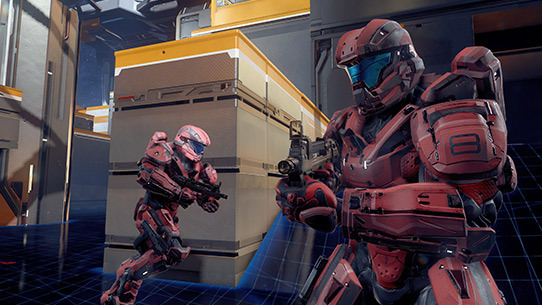 Earlier this week, the latest content update for MCC entered certification. We’re anticipating that the update will be available early this coming week, and ahead of the update, are providing patch notes for what’s on the way. Take a look below. Note: Leaving the game before finishing (any time from the start of voting until the game concludes) will result in a loss for your ranking and a penalty to your Xbox One reputation. After this update, if you quit, betray, or idle too many times during a set period of time, you will be temporarily banned from playing matchmaking. If you continue to engage in negative behavior after the temporary ban has lifted, you will continue to receive temporary bans that are subsequently longer in length. Following this content update, we’ll be releasing the next playlist update (which we detailed a bit last week). Lastly, the team has been making some back-end adjustments to improve matchmaking consistency across a variety of regions, and have seen improved for results for players in Australia and beyond across all playlists – keep us updated with your findings, and stay tuned for the latest on what’s to come. You might say that this week’s top play is rather non-traditional. In week’s prior, we’ve seen some pretty incredible snipes, multi-kills, getaways, Jackal kills, and more, but this week’s play is a whole new one. Oddly enough, the community member who submitted the clip, xGranadier, is actually the victim of this event. The star, in turn, is the Gungoose, which casually rolls up and decides to opt for a specific celebration over their fresh corpse on Bloodline CTF. I’ll let the Gungoose do rest of the…talking. That’ll do for this week, friends. I’m happy to say that there is plenty more on the way, and also that I am particularly excited about Monday. Let’s do this again soon.